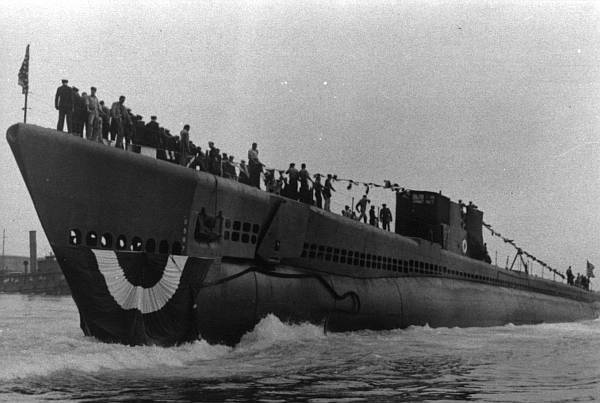 USS Torsk (SS-423) was built at Portsmouth Naval Shipyard in Kittery, Maine. Her keel was laid on 7 June 1944, and she was launched on 6 September 1944, sponsored by Mrs. Allen B. Reed. 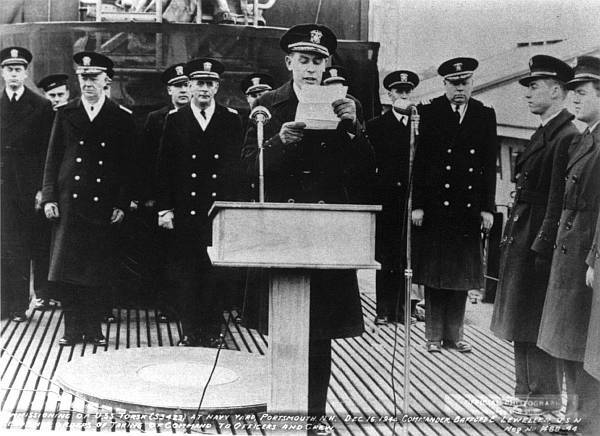 Torsk was placed in commission on 16 December 1944 with Commander Bafford E. Lewellen, USN, as her first commanding officer. Torsk underway off the East Coast of the United States on 12 February 1945 as she heads towards the war zone. Hawaii where she arrived on 23 March 1945.